i hope all is well. i’ve been taking some time out to really continue on my growing process. one thing i’ve done lately is taken time to heal. a few weeks ago, i saw a post about how people often don’t take time to heal, but just keep going. so a lot of old stuff has come up and i’ve been able to heal, through releasing, reiki (thanks mommy!) and yoga. this is one of the consequences of mercury being in retrograde; old things will be brought up. 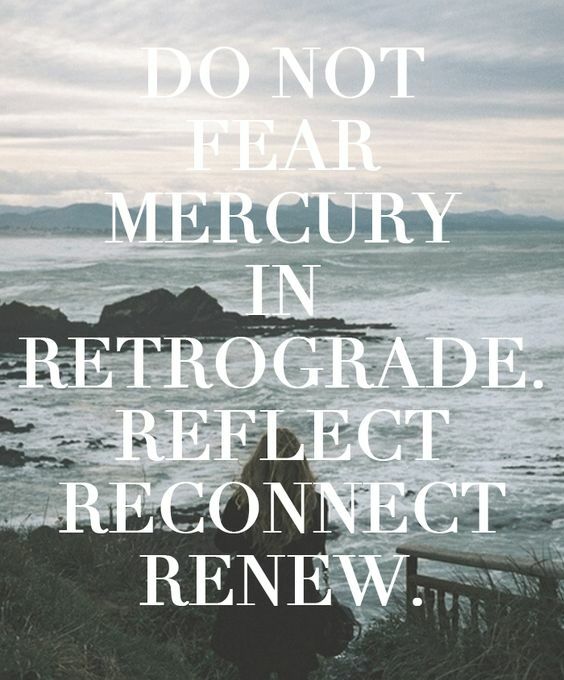 mercury being in retrograde used to be something that I saw as annoying; i would be upset that my communication wasn’t going well or that my phone was bugging. as i’ve gotten older, i’ve realized the beauty in taking a break and healing. changing how i communicate, to be more thorough is beneficial not annoying. healing and crying from past wounds is beneficial, not annoying. i feel like when i go on twitter a lot of people are acting as if mercury being in retrograde is the worst, but it’s actually the opposite. Open your heart to change and growth and allow mercury being in retrograde to heal you and help you grow. Meditate more, take more time for you, and have a little more patience. and remember, all is well.